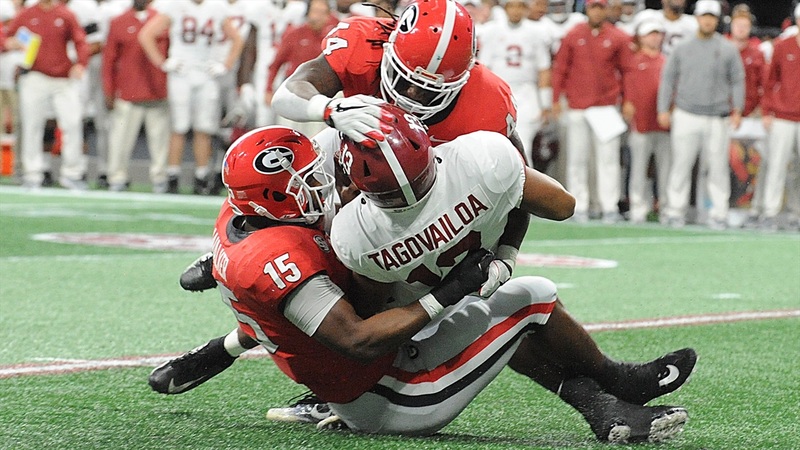 It was Deja-Vu all over again for the Georgia Bulldogs as they lost another heartbreaker to Alabama in the SEC Championship. Just like last year, the opportunities were there for Georgia to win this game. They played hard and were the better team through 3 quarters. But once again, the Crimson Tide clawed their way back and stole another big win away from the Georgia Bulldogs. Alabama made the plays in the end. Georgia didn’t. With a chance to go up 17, Georgia kick Rodrigo Blankenship, one of the best in the country, missed a chip-shot field goal from 30 yards out. To continue reading, you must be a Dawg Post Premium subscriber. Never miss the latest news from Dawg Post! Dawg Post is an independent site and is not affiliated with University of Georgia. ©2019 Dawg Post. All rights reserved.